So for those that do not know, I work for a truck dealership in North Portland. Well about two years ago I sold a little SUV to a gentleman named Hans. A wonderful man in his 80’s Hans has a strong German accent. One of the things I enjoy most about my job is the people I meet and the things I learn from them. Hans is one of those people. I asked him about his life and when he came to the US and what he did for a living. As I got to get a better understanding of his timeline, it occurred to me that he grew up in Nazi Germany. After the reality hit me, I looked at him and asked, “Hans, Were you a Hitler Youth?” He looked at me with very proud conviction and stated, “Yes. Yes I Vas!” My eyes must have shown my bewilderment. “What was that like?” “It vas great! Vaht boy vouldn’t like it? Ve had things to do. They taught us things and ve had sports…….but unfortunately…..I had to learn my history twice.” Hans explained to me that the history they were taught was not the history the rest of the world was taught. So after the war, he learned much of what he had learned was wrong. Evidently the German National Socialist government had a much different view on things. This brings me to one of the things I am a strong advocate of. The ending of the US Department of Education. You may not realize this, but the DoED is not very old. It was actually created in 1979 under President Carter. He took what was a small bureau under the Department of Health, Education, and Welfare and immediately created a $12,000,000,000 Government bureaucracy. Now I support public education. It is one of the greatest gifts Americans/Oregonians give to their children and young adults. Think, you get 12 years of education plus kindergarten and you don’t have to pay back a single cent. The majority of it (in Oregon) is paid for via property taxes. And that education gives youth the skills and knowledge they need to be economically productive. And before the Department of Education exerted its influence, the State of Oregon handled much of its own standards. I like local standards. It is like buying at the farmers market. You know where it comes from. You know who was involved in growing it. And most of all, you know what is in it. Do you really want fruit from Washington DC? Common Core is definitely no local grown apple. And who is to say that it is right for Oregonians? But now the Federal Government tells the states if they don’t follow their rules, they don’t get the Federal dollars they need. Federal dollars is a fancy term for tax money taken from Oregonians and held for ransom more or less by the Federal Government just so they can tell those same Oregonians what to do with it. What the heck? If the Fed didn’t take it in the first place, we would have the money we needed and could spend it the way we deemed appropriate. Wow, the whole basis of my campaign right there. Less Federal Government. More Local Control. 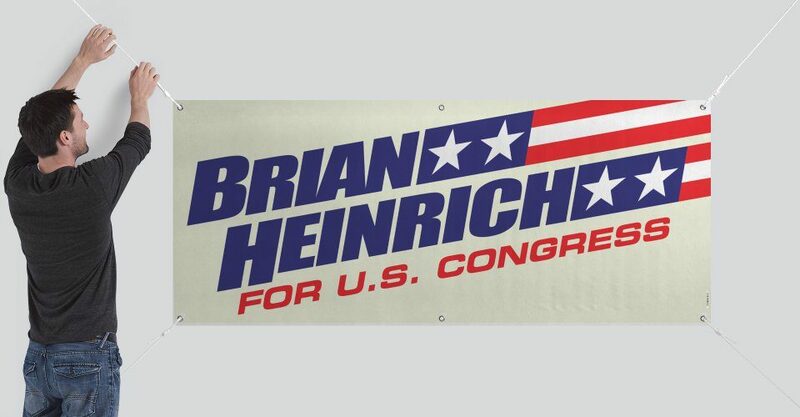 My name is Brian Heinrich and I am running for US Congress.